Brandon has written four books throughout his career. His first book was Broke: A Poker Novel. Not autobiographical, it’s purpose was to present some of the darker sides of poker (hopefully with some humor), at a time when televised poker focused on the glamour surrounding the game. His second book, The Story of Behavioral Finance (with Brian Finn) was a textbook he wrote for his Harvard course on Behavioral Finance. 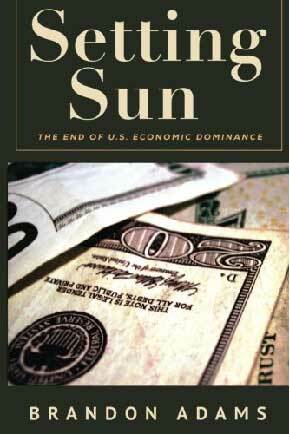 His third book, Setting Sun: The End of US Economic Dominance, focuses on some of the long-horizon macroeconomic problems that led to the economic crises of 2008-2010, and speculates about the long future in a not-entirely-hopeful way. 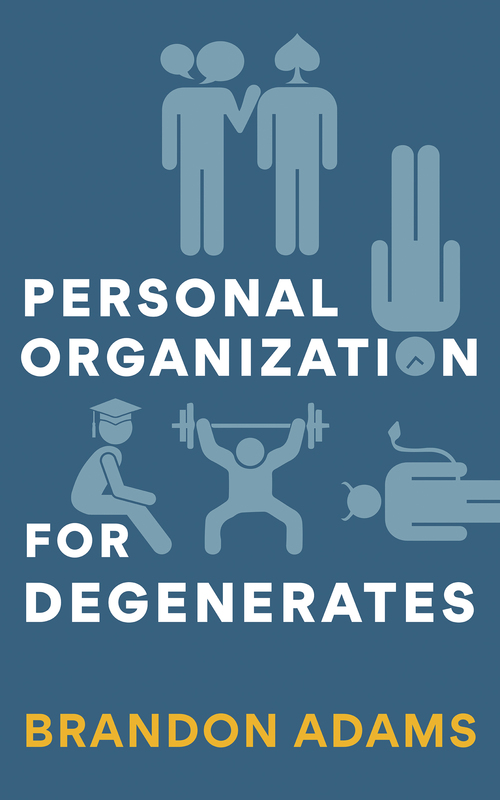 His fourth book, Personal Organization for Degenerates, is a light-hearted take on personal organization for those constitutionally disinclined to organization. Most books about personal organization are written by highly capable people trying to become more capable. The underlying assumption is that time freed up potentially implies greater accomplishment. Productivity and continuous improvement become ends in themselves. The guiding principle of Personal Organization for Degenerates is that time freed up by personal organization creates more time for unstructured, centrifugal activity. Dissolution is the natural state of life. Time spent on organization is necessary, but real joy comes from the unstructured time that is afforded by the investment you make in getting organized. A degenerate person, in casting the present against the future, makes decisions that appear unwise and inconsistent. Degenerates are wired in such a way that they strongly value the present over the future. This is a book about how people with degenerate wiring can nonetheless organize their affairs intelligently. Among the positive traits of degenerates are a certain flexibility of thought and a tendency to consider out-of-the-box solutions. I would imagine that some of the organizational solutions I’ve come up with have merit even for non-degenerates. Forget Wall-Street, America’s best and brightest now seek their fortunes at the poker tables. 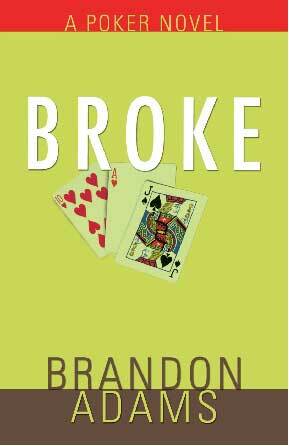 Broke: A Poker Novel follows the lives of three talented, young poker players as they chase fame and fortune in a world fraught with addiction. Raf Verheij is a twenty-five-year-old match prodigy who likes to think that his current situation is unique: poker pulled him out of a deep hole instead of leading into one. Robert Thompson is a player who has an almost supernatural ability-reading opponents’ hands by taking cues from their body language-and a huge gambling problem. And finally, there’s Matt Ingram, a grinder with a penchant for all things self-destructive. It’s a world where the individual has to worry less about the problems that others will cause him than the problems that he will cause for himself. Broke looks into the lives of Raf, Robert, and Matt in their high-stakes quest for gaining poker legend status and reveals just how addictive and dangerous the world of poker can be to one’s bankroll and mental health. What do tattoos, obesity, and America’s shrinking attention span have to do with our growing national debt? In Setting Sun, Brandon Adams explores how cultural shifts are merely signals of economic decline poised to create a very painful period in American history. Adams effortlessly explains the ugly and complicated truth about the U.S. economy and explores the political, social, and economic conflicts rising from the decisions lawmakers and the ordinary Americans make each day. How did we go from being the world’s largest creditor nation to being the world’s largest debtor nation? Why can’t we answer simple questions about our money supply? How large will psychological variables loom over our new economic reality? Adams answers all the questions you aren’t hearing the media ask and lawmakers won’t talk about. This book will take your understanding of finance to the next level. 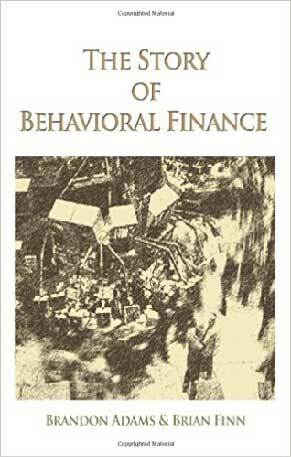 The Story of Behavioral Finance is about “finance in the real world”-it’s finance theory with real people and real institutions. What happens when your portfolio manager sets out not to maximize your return but rather to maximize his own compensation and minimize his own career risk? Why didn’t rational investors short high-flying Internet companies back in 1999? Why was it that so many of the firms that went public in 1999 and 2000 for hundreds of millions of dollars subsequently went bankrupt? These are the types of questions that will be answered in this book. The Story of Behavioral Finance will cover a lot of ground. We will cover the two main strands of behavioral finance, investor psychology and limits to arbitrage, and we’ll apply these concepts to a wide array of financial market phenomena. We will explore, for example, why it is that almost no one seems to “beat the market” despite the fact that there are often easily spotted price inefficiencies.